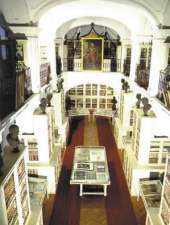 The Teleki Library (Romanian: Biblioteca Teleki-Bolyai din Târgu Mures), also known as Teleki-Bolyai Library and Bibliotheca Telekiana, is a historic public library and current museum in Târgu-Mures, Romania. One of the richest Transylvanian collections of cultural artifacts, it was founded by the Hungarian Count Sámuel Teleki in 1802, at the time when Transylvania was part of the Habsburg Monarchy and has been open to the reading public ever since. 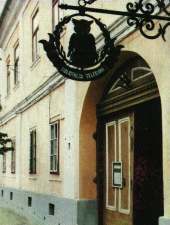 It was among the first institutions of its kind inside the Habsburg-ruled Kingdom of Hungary. 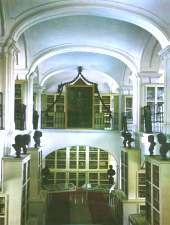 It houses over 200,000 volumes, of which many are rarities, constituting a comprehensive scientific database. 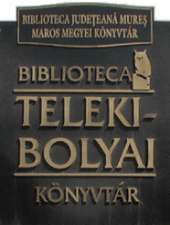 The book collection is divided into several smaller libraries, of which the two main donations are the original 40,000-volume Teleki Library and the 80,000-volume Bolyai Library; the rest, grouped as the Miscellaneous Collection, is made up of several private libraries, volumes previously held by religious schools and those of a Franciscan monastery. 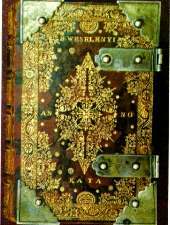 Overall, the library constitutes a collection of most traditional types of Transylvanian book. The current appearance of the inside of the church is the result of numerous changes done in time. Close to the entrance, there is a balcony supported by arches on posts. 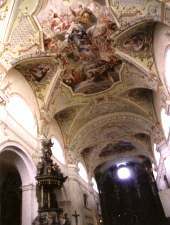 The slightly curved ceiling, reinforced by four pairs of double arches and decorated with stucco, is the result of remodeling works performed in 1790 by Anton Türk, one of the most famous Transylvanian architects of the Baroque period. 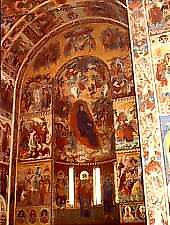 The church may have been originally decorated with frescos, as traces of mural paintings were found inside. The almost complete disappearance of these paintings is due to the fact that the church became the property of reformed believers in 1557. 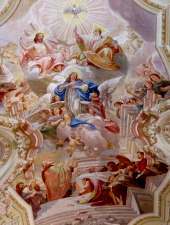 The religious reform required for churches to have no paintings, statues or religious frescos. The last one to be built was the 50 meters high, 4 level steeple-tower. The top level, where the bells are, has broken arch openings on all four sides. The pointed roof of the tower has four smaller towers in each corner. 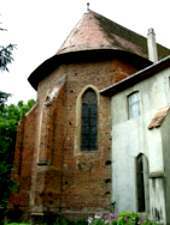 The tower may have replaced part of the monastery building, which was demolished to make a place for it. 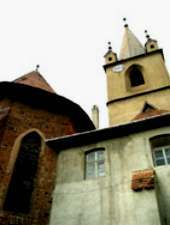 Transylvania fulfilled all the requirements for the development of this new architectural style by the beginning of the 18th century when it became part of the Habsburg Empire. Ignatius of Loyola initiated a strong campaign to impose Catholicism as the official religion. Jesuit monks settled in the town in 1702 with the purpose of revitalizing the Catholic community. 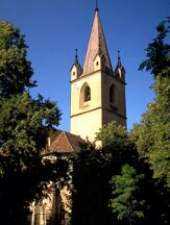 During the first years, they found lodging in the home of Boer Simon, but in 1704 managed to buy a plot of land near the Nagy Szabo house in order to build a church.When the Habsburg family in 1707 the Jesuits built a zion in the place where the church is now located. 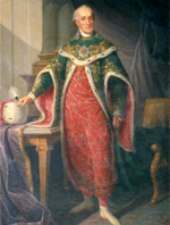 The zion was visited by Francis II Rákóczi. In 1764 because the Catholic population increase a bigger church was raised. 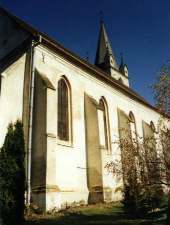 The church was constructed based on the plans of the Jesuit Scherzer Bálint and was raised by constructor Hammer Konrád from Cluj. 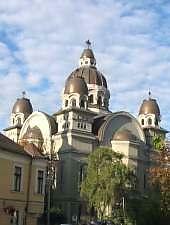 The Ascension of the Lord Cathedral (Romanian: Catedrala Înalțarea Domnului) is a Romanian Orthodox cathedral in Târgu Mureș, Romania. 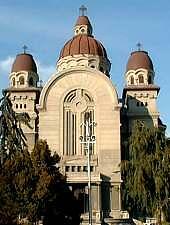 It was built between 1925 and 1934 on the initiative of Archpriest Stefan Rusu. As the seat of an archpriest and not a bishop, it is a church and not technically a cathedral, but is commonly referred to as such. 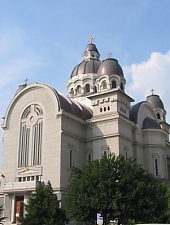 The Cathedral's cornerstone was laid on May 10, 1925, an event witnessed by, among others, the Minister of Religious Affairs, Alexandru Lapedatu, Bishop Nicolae Ivan, and Octavian Goga, who was a government minister at the time. 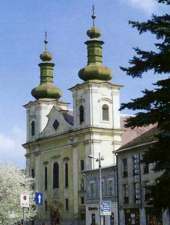 The cathedral was built according to the plans of architect Victor Vlad of the Polytechnic University of Timisoara, in the form of a Greek cross. The total cost of the building was estimated at 20 million lei. The iconostasis was built in 1934 by Traian Bobletec of Nazna, while the bells were cast at Timisoara. Due to lack of funding, murals of the interior were only completed in 1986.